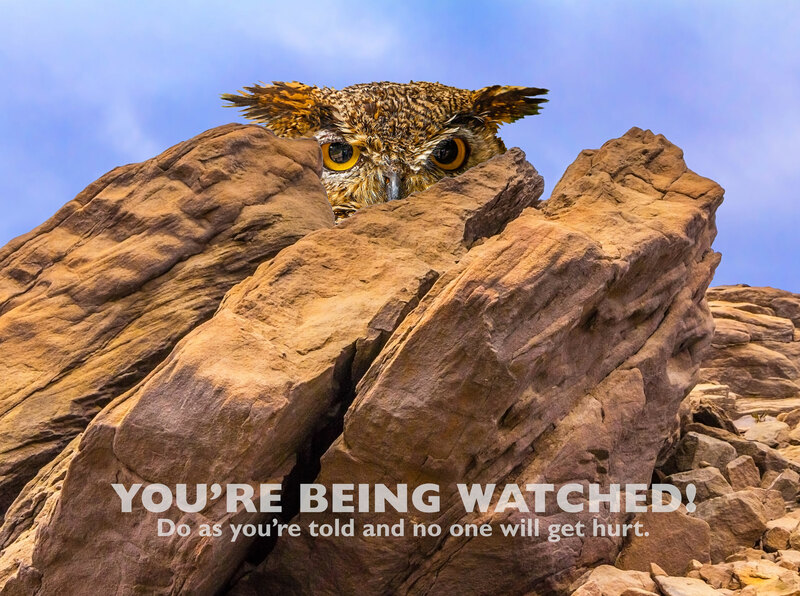 The owl is watching you. He may be a spy, or a new government drone. Best just to obey him.